A unique leather case designed completely by you. A custom case engraved with your design or logo. 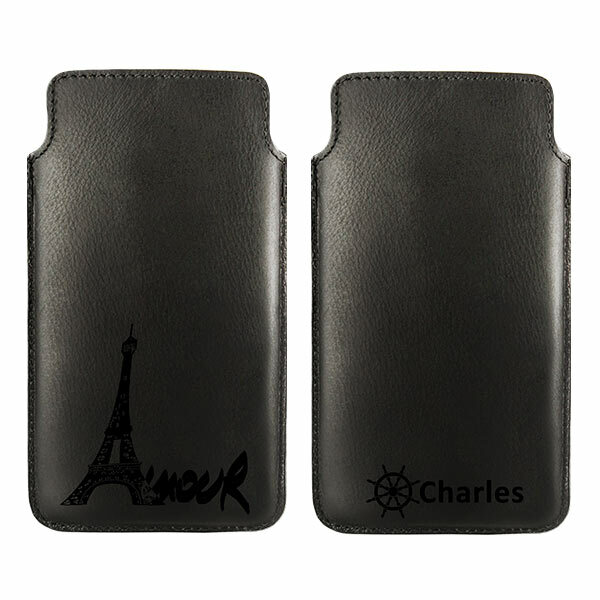 Engraved leather for your smart phone ! 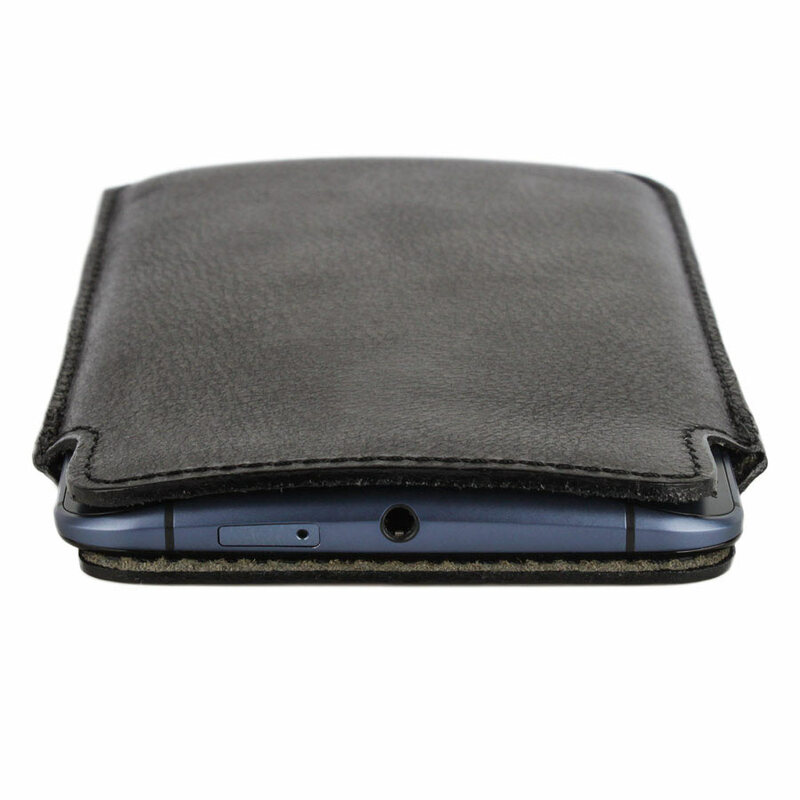 The engraved leather cases from GoCustomized are a high quality, customisable case which is suitable for a wide range of devices. 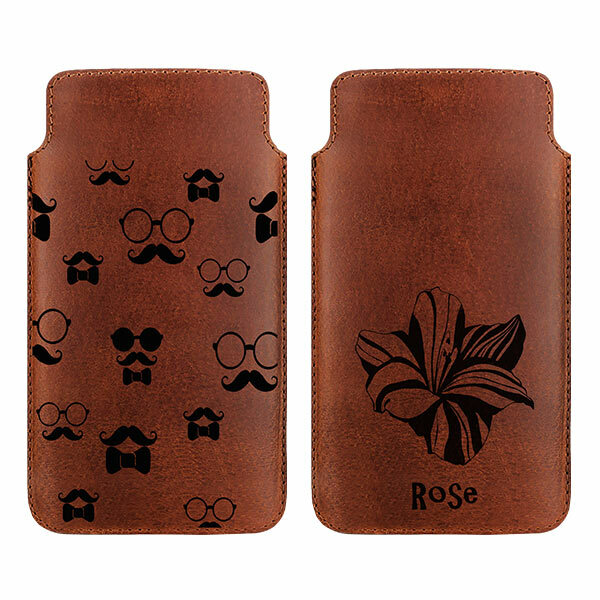 Unlike our other cases, the leather cases are engraved instead of printed. This means that your design is embossed into the leather. For this case you will not be able to upload your own images. You will however be able to choose from a wide range of icons and symbols. In addition, you can add as much text as you please. There are plenty of fonts for you to choose from. If you have questions about this case, please contact us our support team for further information. 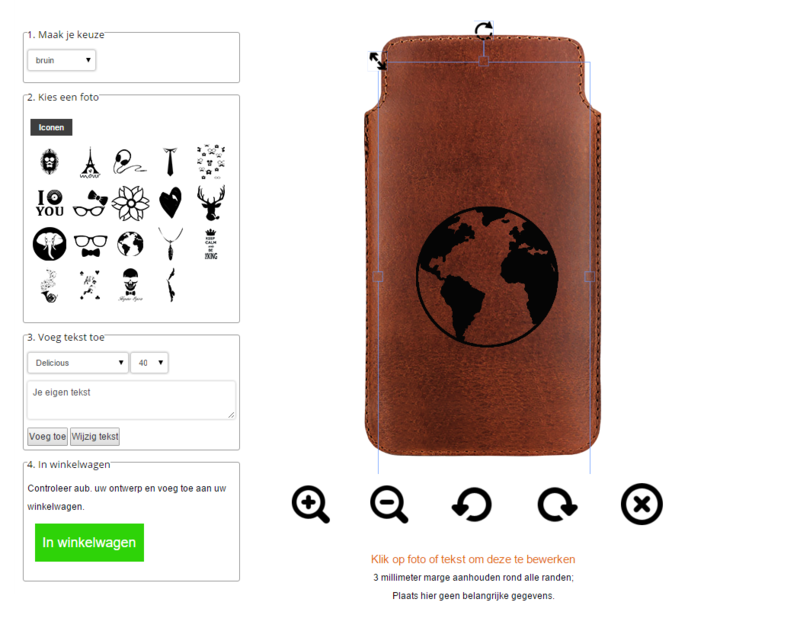 GoCustomized has made a unique design module with which you can design your personalised leather case. Because this is an engraved case, it is not possible to upload your own images. You can however choose between a large variety of icons and prints. In addition, you will be able to add as much personal text as you like. There are some great fonts to choose from! All cases are shipped within 24 hours our purchase. The time it takes to get to you is 5-7 working days. You do not need to stay home to receive your package as it is shipped with standard post. This case is suitable for: iPhone 7 Plus, Alcatel One Touch Pop C9, iPhone 6(S) Plus, LG G3, Samsung Galaxy Mega 6.3, Samsung Galaxy Note 4.